The Navy Sharks produced by far their best performance of the 2012 Sevens season at the Newquay Surf Sevens . 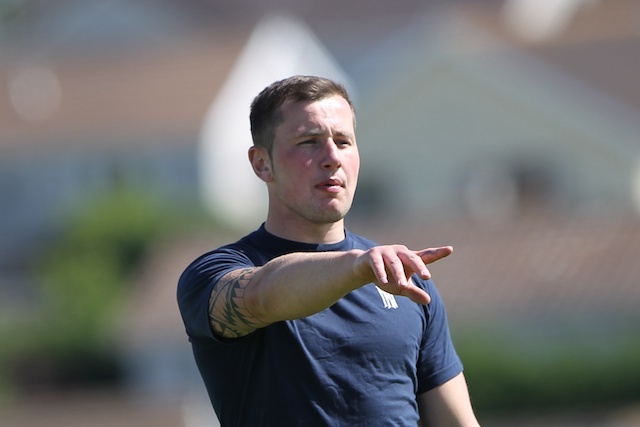 With a squad bolstered by some of the star performers from the recent Navy Sevens the team made the main competition knock out stages for the first time. Having beaten the Capio Eggs, including Navy colleague Ben Priddey, in the round of 16 they eventually succumbed to Apache in the quarter finals. However they made Apache work for their win and the team’s improvement, not only throughout the season, but also from when they met Apache in the group stages was evident for all who were there. Tom Davies had an assured tournament and for the most part kept his composure. 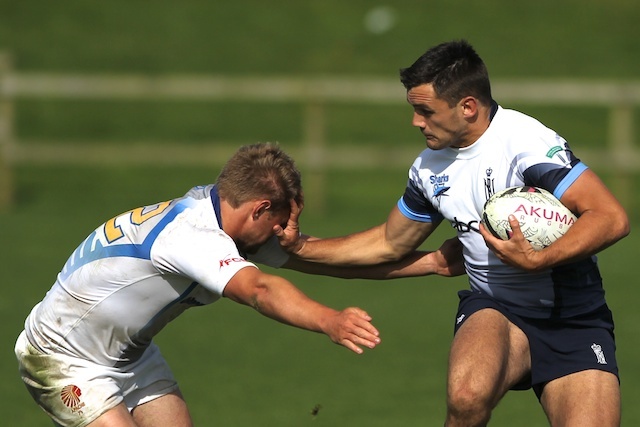 Sharks defence had far more bite with good shape and good technique – on most occasions……..
Ben Priddey and Capio Eggs were comfortably dismissed in the first round of knockout rugby. 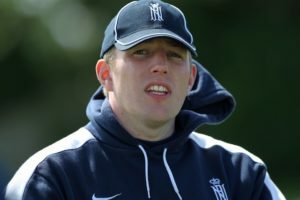 Watching DoR, Andy Kellet, will have seen some performances that bode well for Australia and the defence of the Commonwealth Cup. 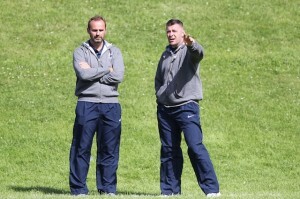 For coach Sam Cuff another big step forward from the West Country Sevens. 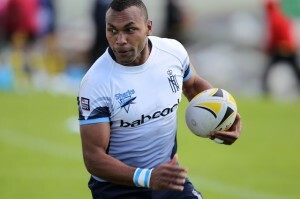 Henley Sevens is the next test and he will hope for another step forward. 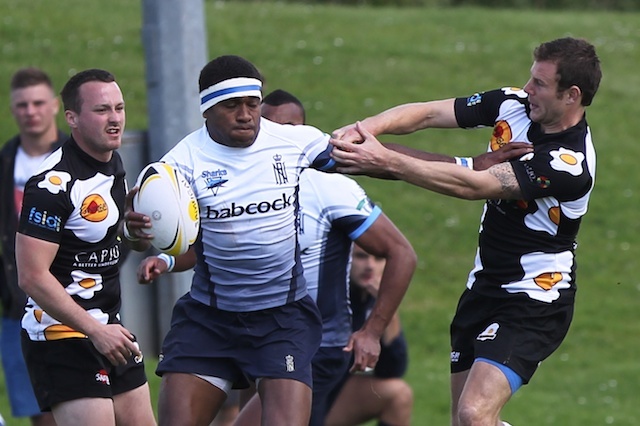 Navy capped player, Seti Raumakita, added to both the committed defence but also brought a powerful edge in attack. Lol Blackburn had another good tournament, looking sharp in attack. Coopz is maturing as the team captain as well as expanding his repertoire of facial expressions! Strong in defence and powerful in attack Navy Sharks’s stand out performer, for me, was ‘Seva’ Sevanaia. Another who had a very good first tournament in the Sharks shirt was Matt Tichias, although if truth be told none of the squad failed to perform. 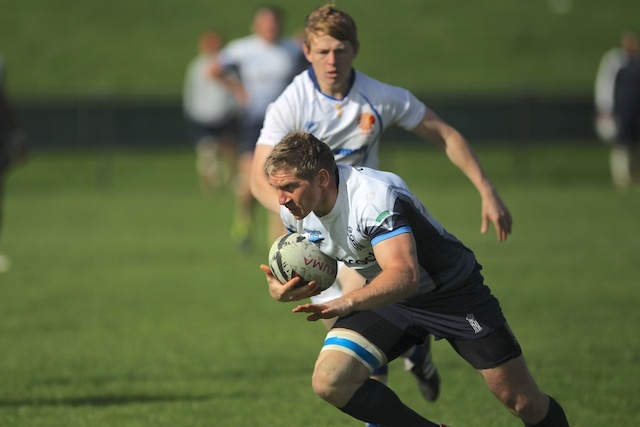 The squad for the tournament can be viewed by visiting the RNRU website here. All my images of the Navy Sharks can be viewed by clicking here. The British Army Sevens won the tournament. Images of their tournament success can be viewed by clicking here.